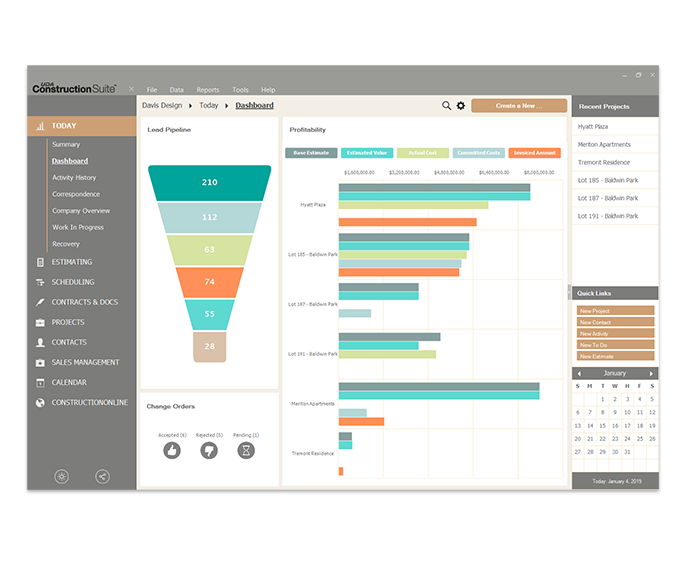 ConstructionNet delivers breakthrough CRM technology with unbeatable project management power. 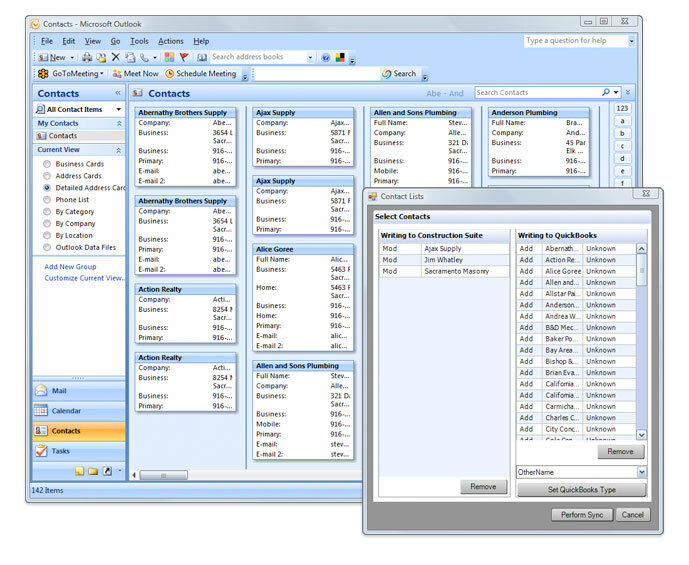 The first CRM application developed solely for the construction industry, ConstructionNet offers seamless integration between your project information and contacts such as vendors, suppliers, clients, and subcontractors. 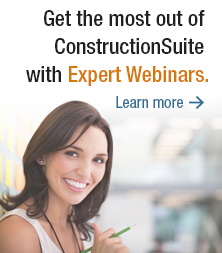 From this tab in the ConstructionSuite system, you have multiple options for accessing, sorting, and relating information, so it's easy to customize for your company and project needs. 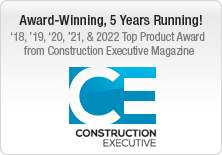 The ConstructionNet Today tab gives you access to powerful tools designed to give you complete access to your company's most vital information. 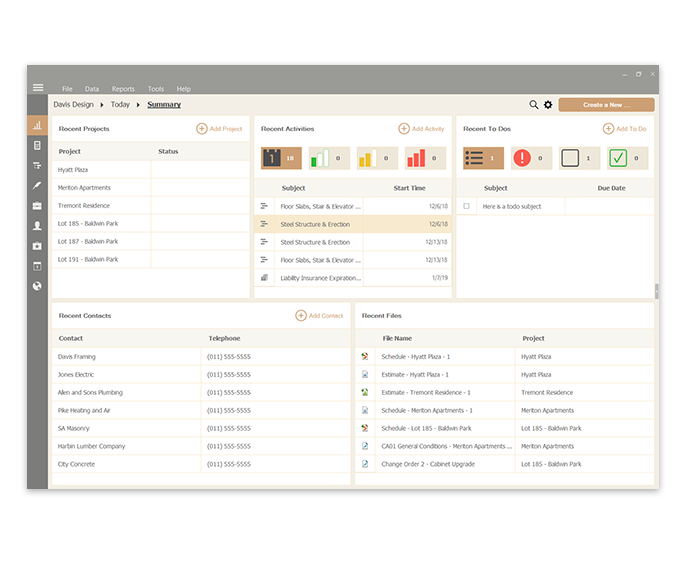 Use the Today Summary as a central launch pad for ConstructionSuite, access and maintain the Items Database, and take advantage of the powerful Company Overview central reporting system. 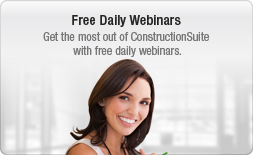 As the central launch pad for the ConstructionSuite system, the Today Summary tab gives you instant access to all of your company's recent and upcoming information. From projects to contacts to scheduled items and more, the Today Summary tab makes it easy for you to get the information you need. 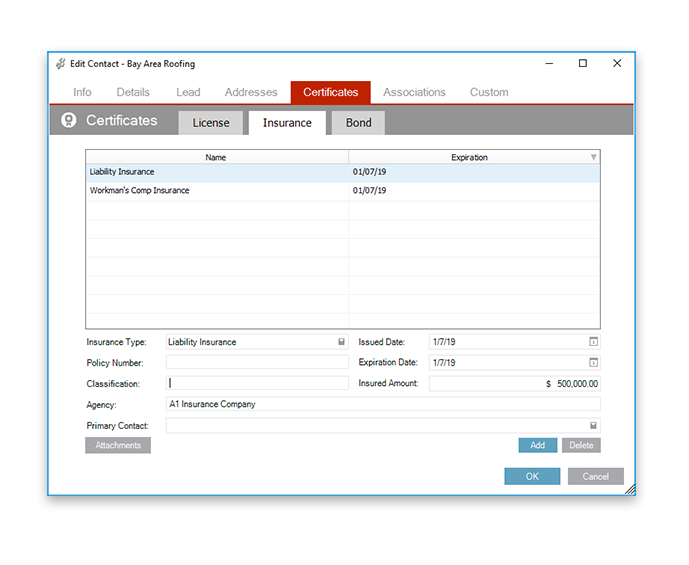 Insurance, License, and Bond Tracking, a sophisticated feature of the ConstructionSuite system, enables you to ensure that all of your project resources have valid insurance, licenses, and bonds before scheduling or paying them. Eliminate undue financial liability with the dynamic Insurance Tracking system. 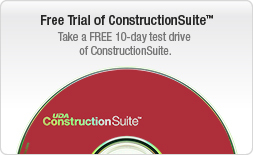 Use UDA ConstructionSuite as a central location for all of your company's information. 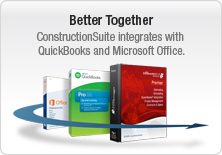 With bi-directional ContactSync, you can synchronize contacts between ConstructionSuite, Microsoft Outlook, and QuickBooks. 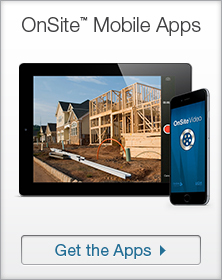 Now you have a single place to access all of your company's vendors, clients, subcontractors, and suppliers information. In the office. In the field. 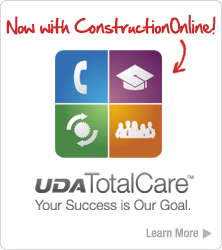 It's all there with UDA Appointment Sync. 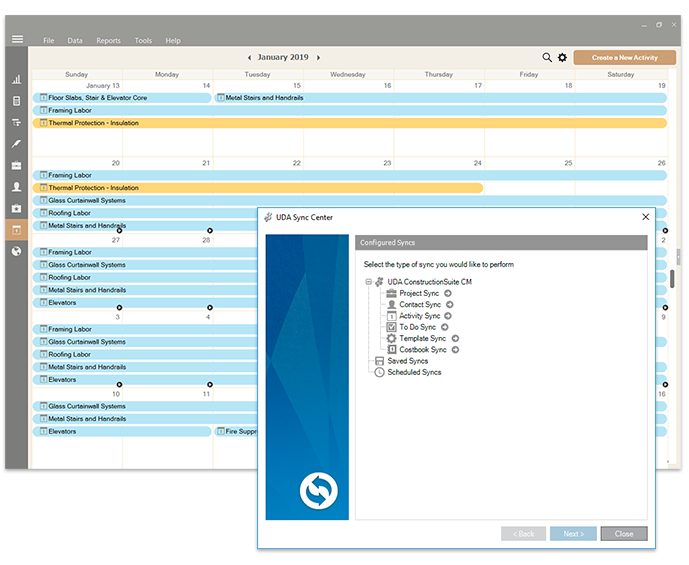 Appointment Sync synchronizes the UDA Integrated Calendar with Microsoft Outlook, making it easy for you to view Activities and scheduled Project Subtasks outside the ConstructionSuite system. Use this dynamic feature in conjunction with a pocket PC or PDA device to access all of your essential scheduling information in the field. Any changes you make to Activities can then be synchronized back into the Integrated Calendar when you return to the office.